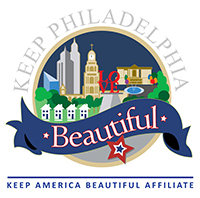 Keep Philadelphia Beautiful believes in the power of community. -Supporting Citywide initiatives such as the Zero Waste and Litter Action Plan, the Philly Spring Cleanup, and the Philadelphia School District’s sustainability plan, GreenFutures. Learn more about partnering with KPB here or sign-up for our e-mail list.